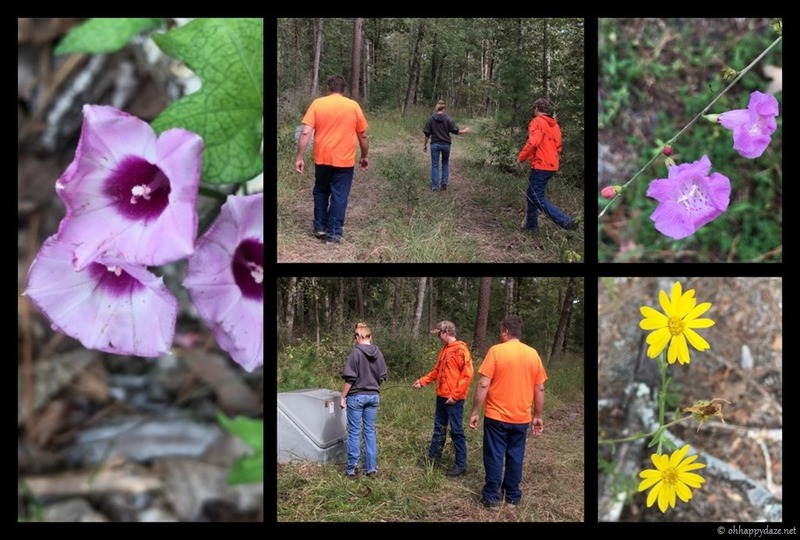 Well, it is October, usually my favorite month of the year so we had to go out and walk around in the forest and find some fall beauty to photograph! 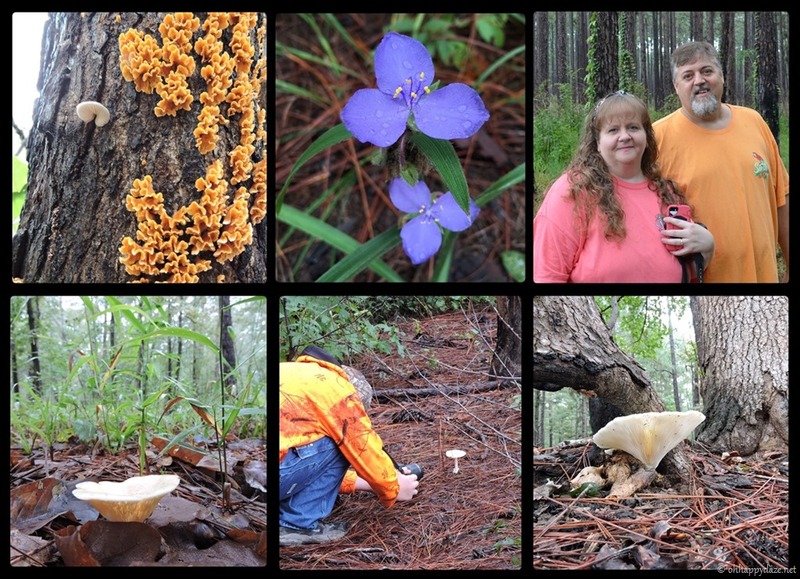 We saw many mushrooms which I find so fascinating and beautiful. I think flowers are pretty and in spring I love to see them especially after a long dreary winter but there is just something amazing to me about mushrooms. It is wonderful how such beauty arises from decay. Maybe it is God’s way of saying, even in the darkest mess something beautiful can emerge. I guess that may be why I look forward to the fall mushrooms more than I do spring flowers, it gives me hope. With cooler weather, we find ourselves outside more. 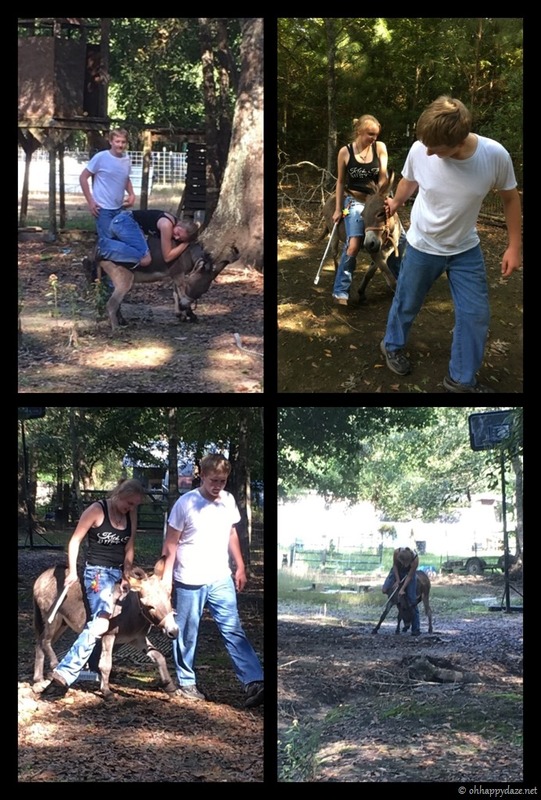 We wander around our little farm and the kids will come out and play with our mean ol’ donkey, Rowdy. He does NOT like to be rode but Anna forces it. 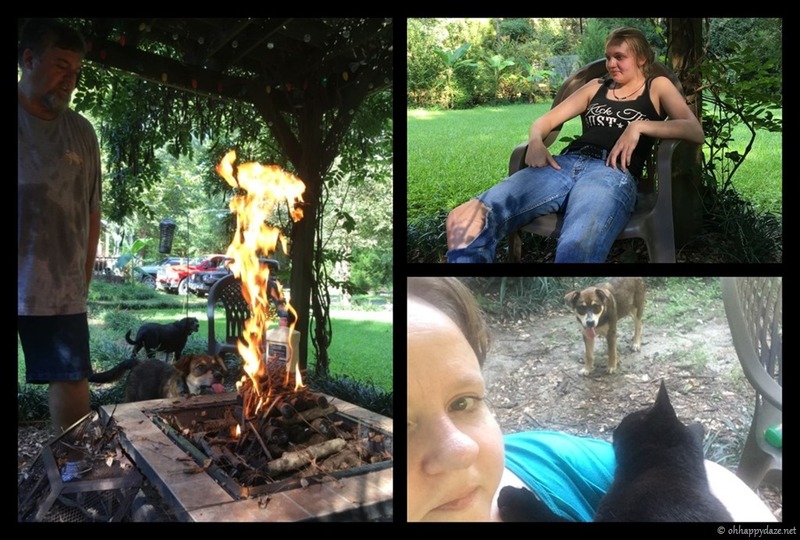 We spent some time under our pergola chatting around the fire pit. Anna’s silly pup, Biscuit, thinks fire is something you can taste, thankfully he didn’t make contact with that curious tongue of his! Our cat, lovingly referred to as “Cray-Cray” because she is a bit nutty always keeps an eye on that pup, she likes to put him on the run every chance she gets. 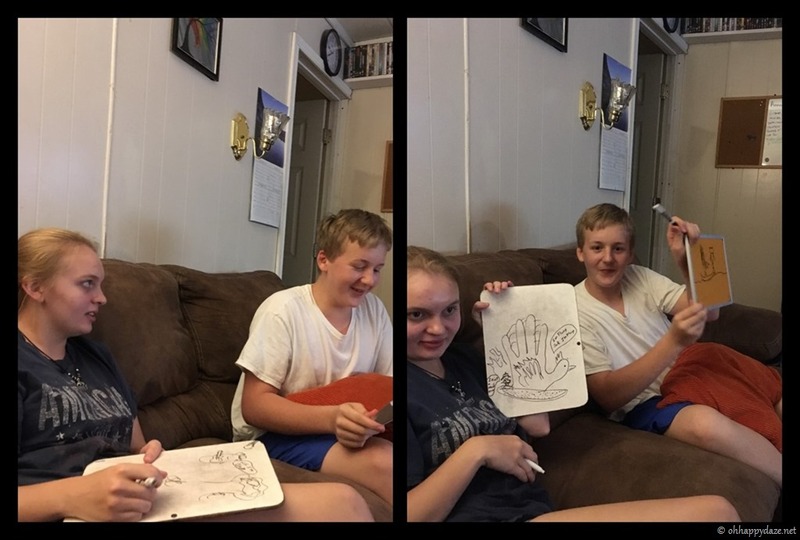 That evening we had a really nice time with the kids playing our version of “Pictionary.” We would tell them what to draw, adding in crazy requests just to see what each one would come up with and laughing at the creative ways they used their imagination! 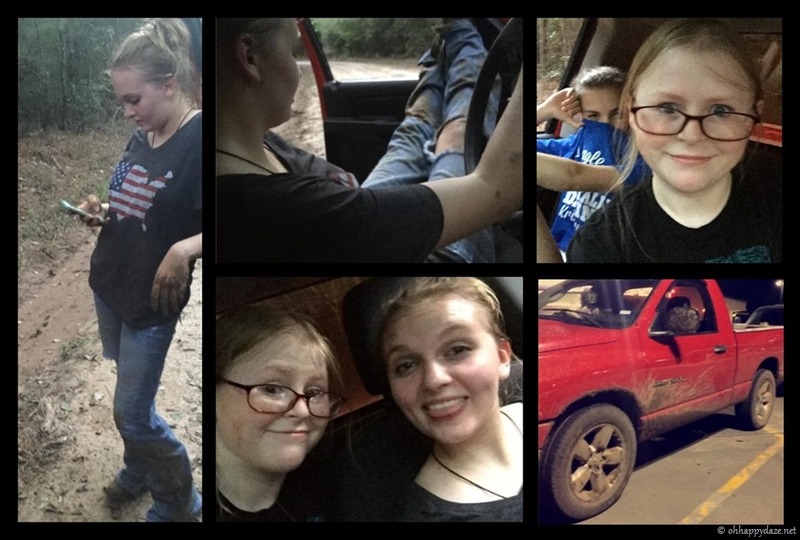 Anna took her besties out “muddin’” and of course had to get a little stuck. 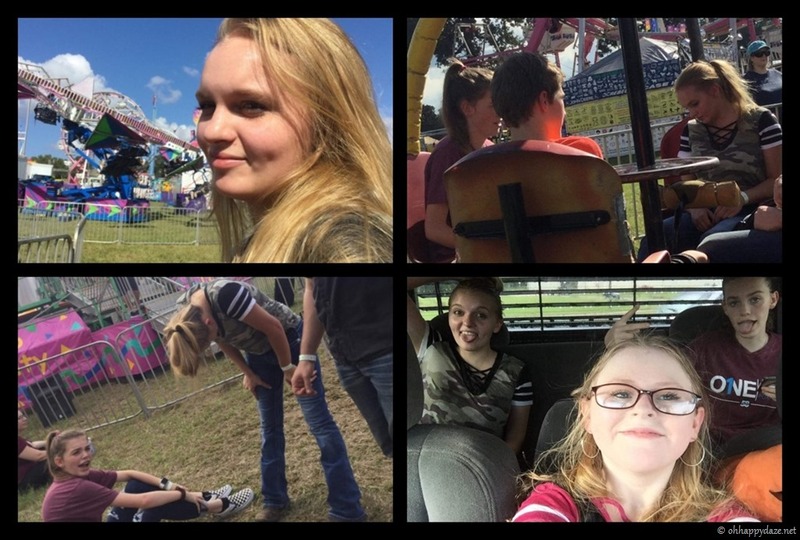 Thankfully, her cousin, Jonathan, has a big truck that can pull her out and since one of her besties is his girlfriend he had no problem coming to their rescue! Anna and her besties, escorted by her cousin, Jonathan, went to her first carnival! She had a blast! She got a tad sick on a couple of the rides but she was loving it! 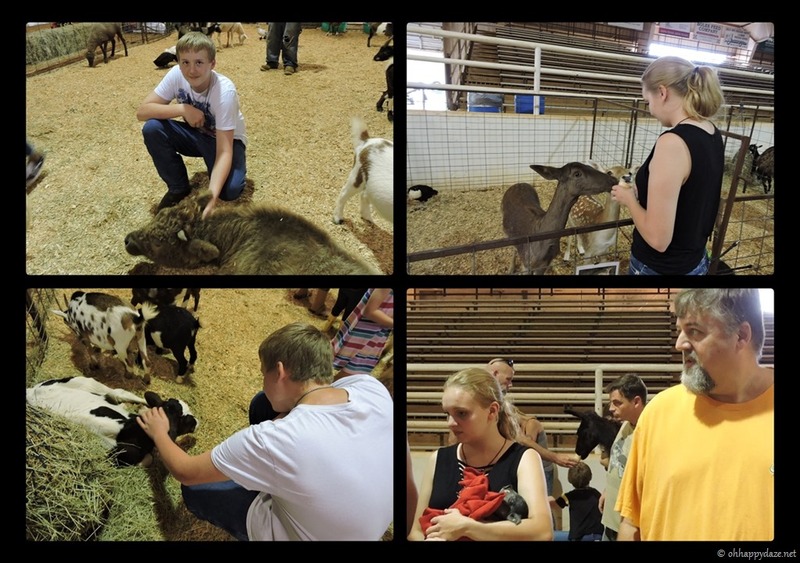 We took the kids to the county fair. I wanted Adam to have a chance to try out the carnival rides since he didn’t go with Anna to the last one. My little farm boy was happy just hanging out at the petting zoo. He now thinks we need a cow! 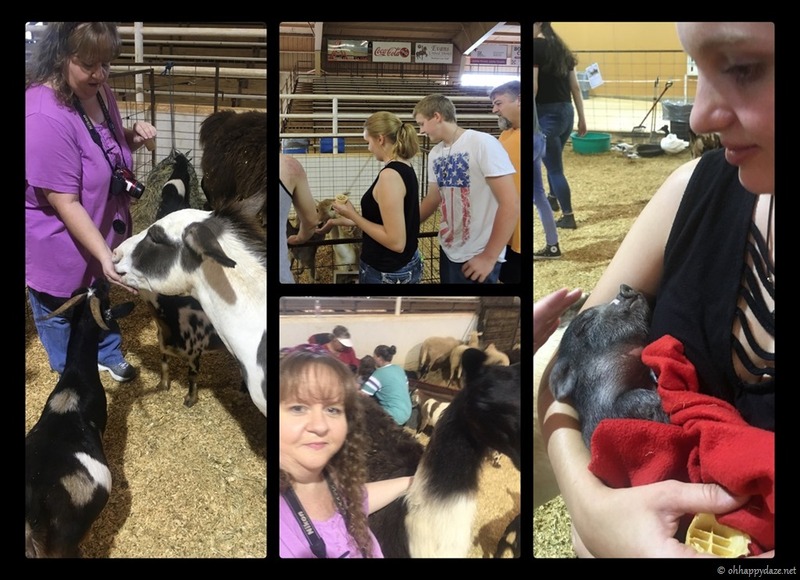 I have to say I enjoyed the petting zoo too! The llama was not having it with all the petting, that thing looked at everyone like “How dare you invade my space!” Anna now thinks she needs a baby pig though! That little guy just stayed asleep while she toted him around, not a care in the world! Adam rode two rides and he was done, he said he was not fond of being tossed around so he walked around with my hubby and me, eating snow cones! We took a little walk around the nearby lake park. The loops are all but destroyed from the past few years of flooding but it makes for interesting walks. Adam made a see-saw out of broken picnic tables pieces and we all took turns see-sawing and being silly. As always I try to get pictures of any beauty God left around in nature for us. And the kids always horse playing and having fun. Watching them interact and laugh is one of my favorite things to do. We decided to try out a trail we had not ever been on, it was behind one of the museums in a nearby town. 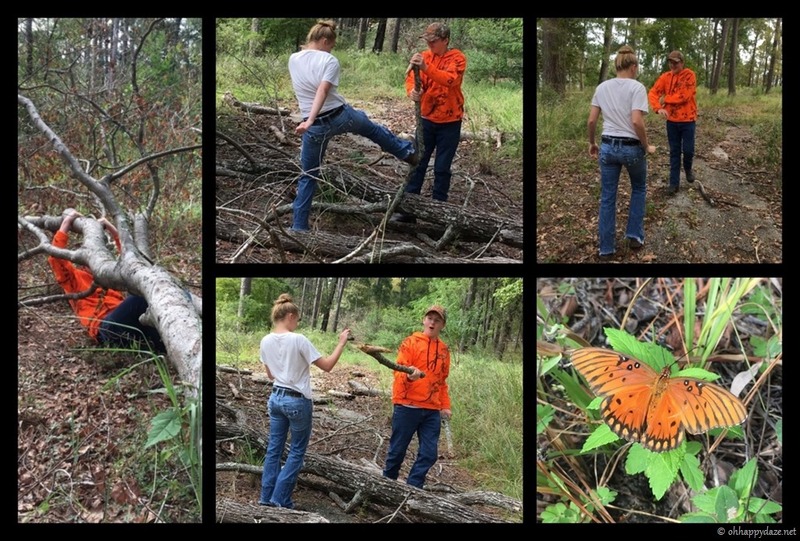 We found out that there were actually three trails so we will have to go back another day and try the other two! 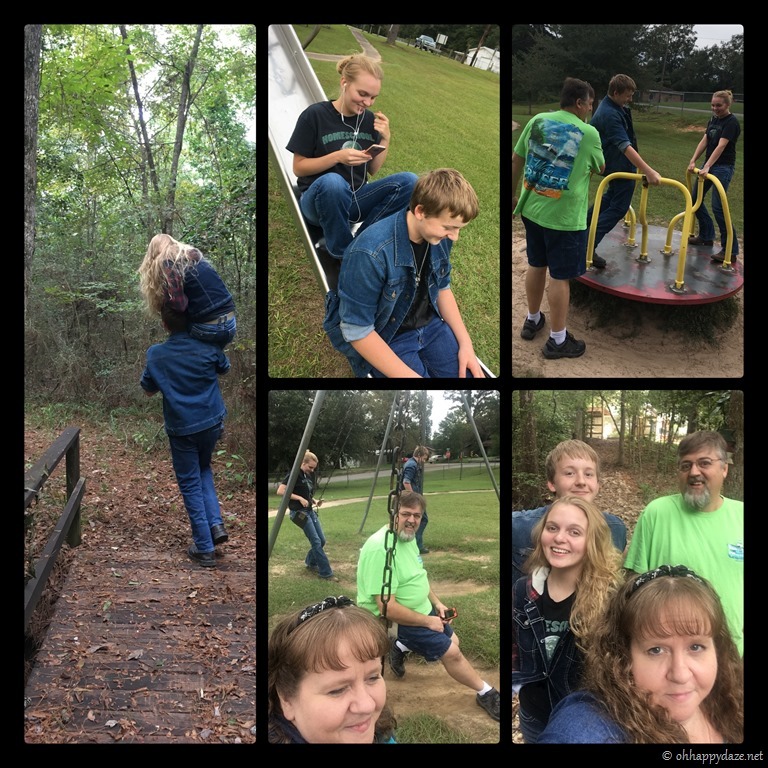 We also stopped by the local playground and let my big kids play. It was a very pleasant time just being with my family, laughing and enjoying life. 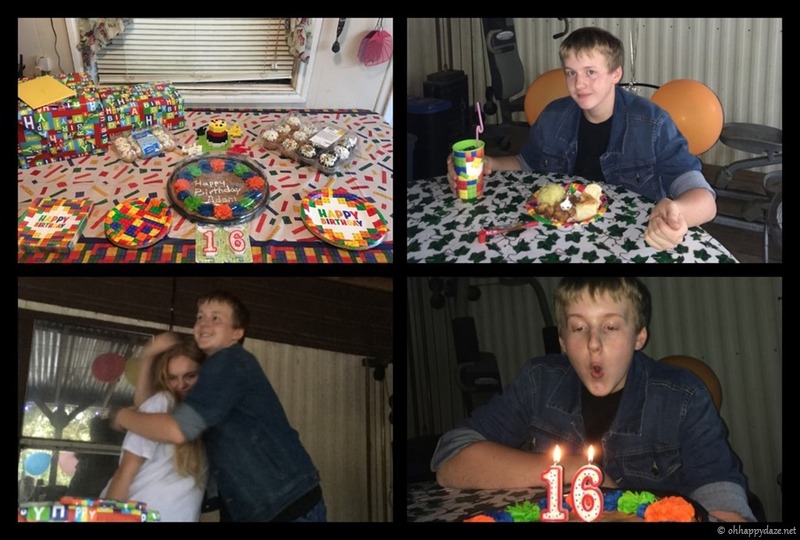 My youngest son turned 16 on the 30th but we celebrated it today. 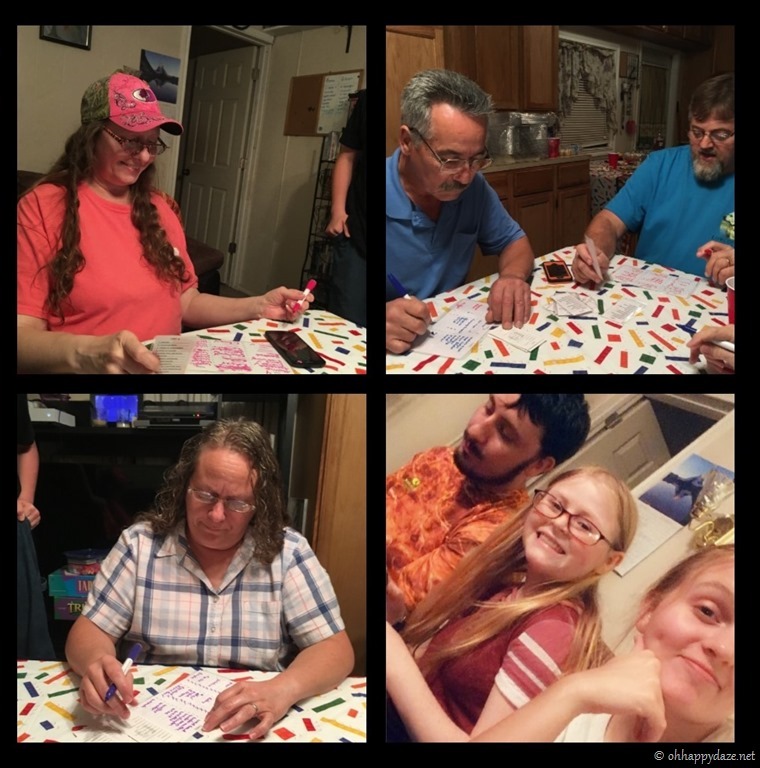 We had food, cake, and games! The kids played a little volleyball as well. We tend to try to do something special over the several days around the birthdays because it seems like one day is never enough to fully celebrate my loved ones! 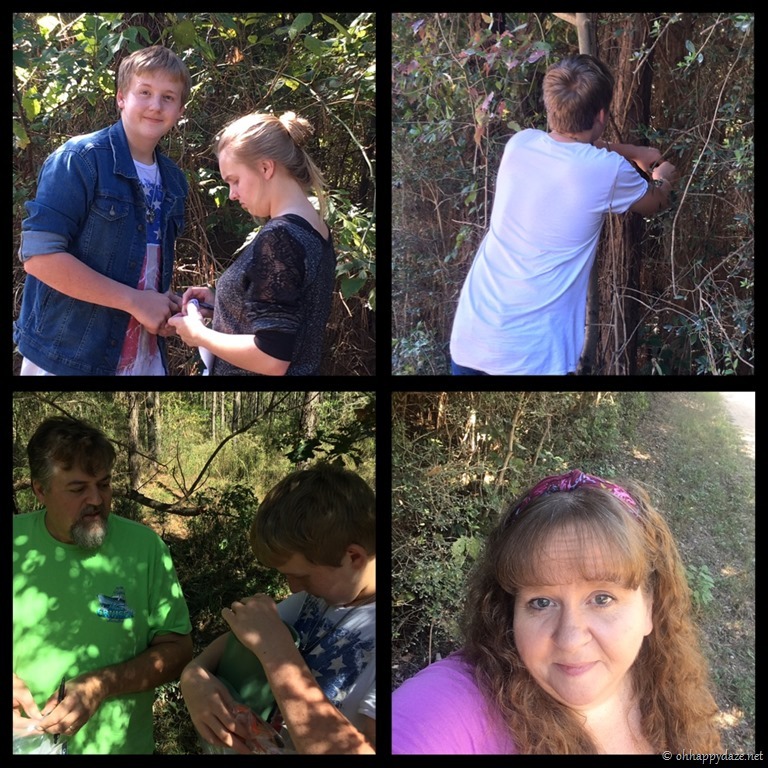 So we took the kids geocaching down a new line of geocaches that was placed! 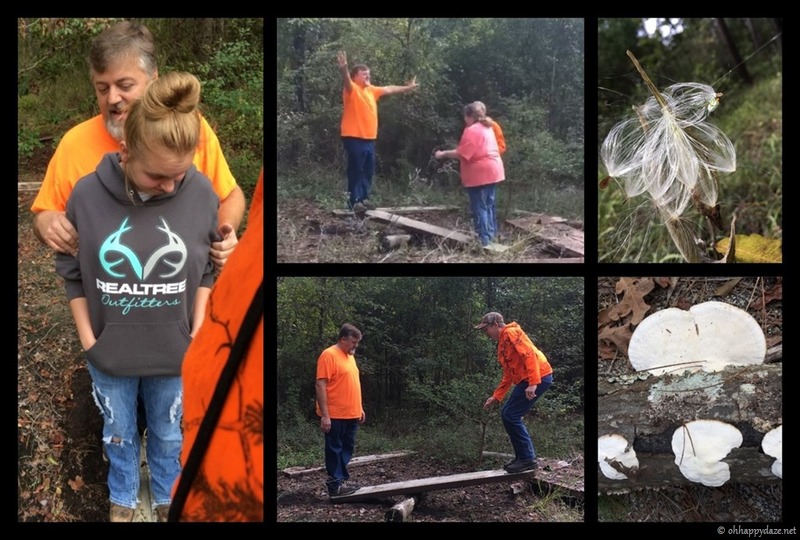 We found 25 so that was pretty good for a morning of geocaching! 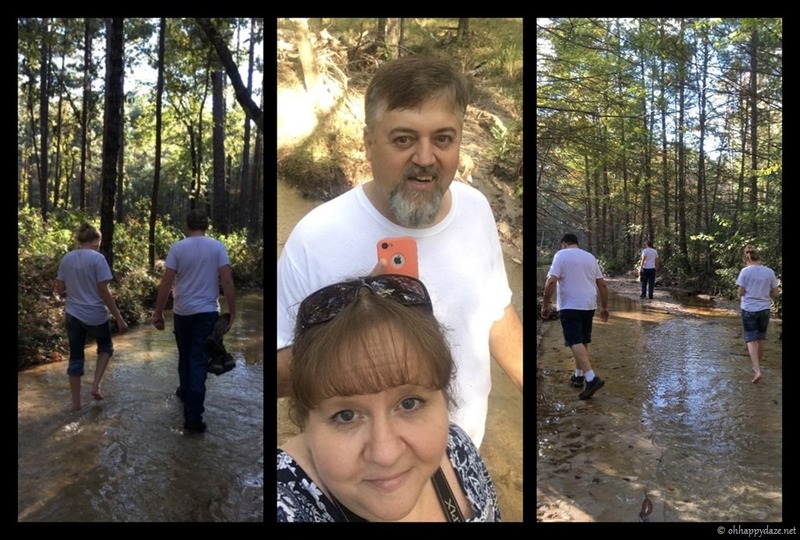 A little hike down the creek behind Boykin Springs was our outing for today! It was so nice to just relax and enjoy the peacefulness of nature, letting the cool water run over our feet just going along, walking and talking. I need more days like this. My youngest is 16 today! We went out to eat then to the zoo trail! 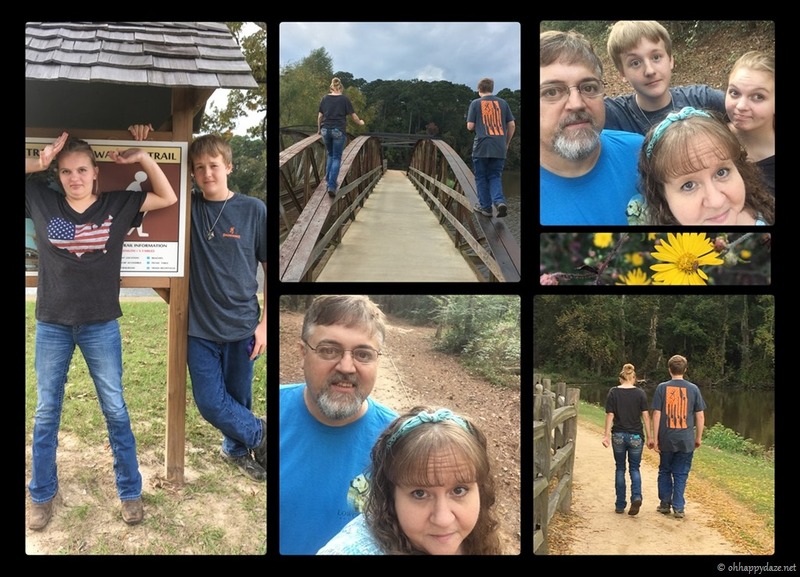 We didn’t really want to go to the zoo because we had been there fairly recently so we just walked the trail, good exercise and peacefulness is the thing I covet most lately so hiking trails are a good way to take in the wonder of nature and the quiet. I just love these crazy kids of mine, one day they will be gone doing their own lives and I will have to do some serious begging and scheduling to get them all together at once for a “walk-about” so I enjoy it while I can. One thing I am learning is “Carpe Diem” Seize the day! I know life is never perfect but you can always find perfect moments so I cling to those moments because whether you’re having a bad time or a good time none of it lasts forever. I simply endure the bad and embrace the good and be happy each moment I can. 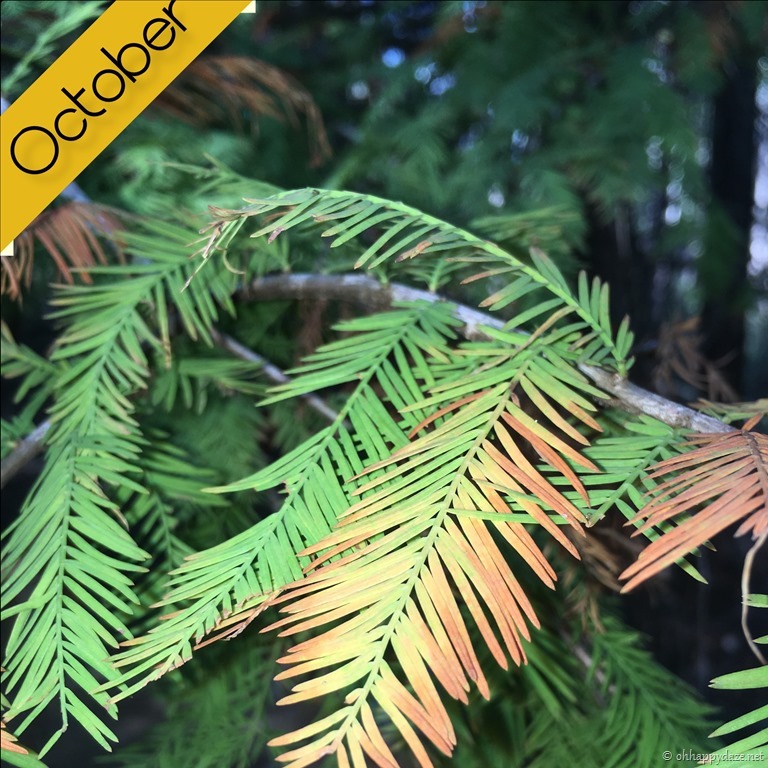 Posted on November 13, 2018, in Family, My Journal and tagged 2018, October. Bookmark the permalink. Leave a comment.